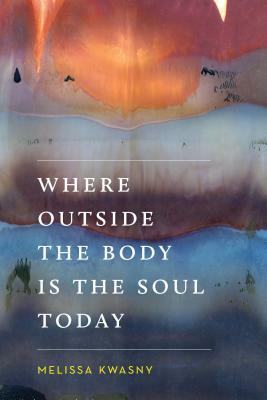 Where Outside the Body Is the Soul Today comprises two interwoven series--one of linked prose poems called "Another Letter to the Soul" and one of individual lined poems that explore the connection between anima and animal. The volume speaks to and questions the ancient concept of the soul and its contemporary manifestations, including the damaged soul, the American soul, and the blind, gagged soul of history. Melissa Kwasny does not define the soul in traditional religious terms, but in a shamanic, perhaps ecological sense, as the part of being that continues its existence after death. The poems in "Another Letter to the Soul" point inward, addressing the human soul directly, while the individual lined poems search outward, sensing the soul in the plants, animals, rocks, waters, and winds that surround us. This is Melissa Kwasny's sixth book of poems. Her previous collections include Pictograph, Reading Novalis in Montana, and The Nine Senses. She is also the author of Earth Recitals: Essays on Image and Vision. She has won both the Cecil Hemley Memorial Award and the Alice Fay Di Castagnola Award from the Poetry Society of America.